Let us design a Palm Beach style resort in your Middle Tennessee backyard. Call us today 615.726.1010! Our awnings are designed to keep you and your patio cool and custom built to fit your home. 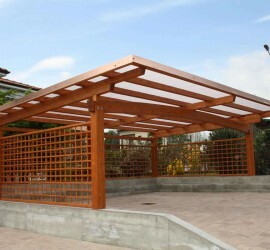 We build custom carports for residential and commercial purposes. Any style, any material. 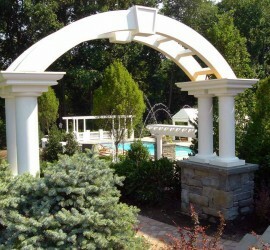 Our garden structures are custom built to make your outdoor space beautiful. Palm Beach Enclosures is a Nashville, Tennessee owned porch and patio design company that has been adding beautiful patio enclosures, pergolas, arbors, awnings, and carports to homes and businesses across the Middle Tennessee area since 1988. We will work under obscure conditions that our competitors will not, so If you have been told it cannot be done, we can most likely get it done. 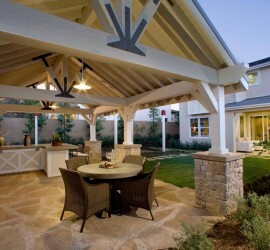 We specialize in custom outdoor living projects and are always up for a challenge. At Palm Beach Enclosures we pride ourselves in friendly professional service, combined with high quality patio cover products at competitive prices. Each patio cover is professionally installed and comes with a lifetime warranty on workmanship and the manufacturer’s limited lifetime warranty on the patio cover product. We are licensed and insured and we have installed thousands of patio covers, covered carports, pergolas, arbors, along with custom concrete, stone and brick work. Give us a call today for a free consultation at 615-726-1010. We will match any patio cover roof style you desire whether it be cathedral, studio, gable or hip and construct your patio cover out of any material. We build carports that will stand the test of time. Our carports are maintenance free and crafted to never rust, warp, crack, rot or become infested with insects. Custom built with pressure treated coastal cedar, California redwood or wood grained heavy-gage aluminum.